On my last morning in the U.S.A. before catching my flight to Peru, my sister Clara and I had a few hours to kill in Ithaca. 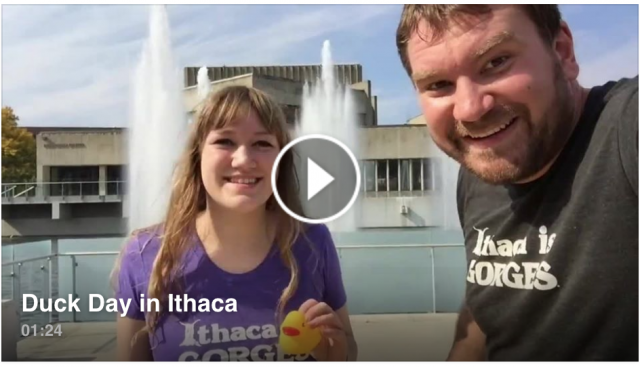 So we made this movie trailer of our GORGES day with our new rubber ducky friends! These are just two of the 100 rubber duckies I have with me, and they are all up for adoption! This entry was posted in Mototaxi Junket and tagged rubber duckies, trailer, video. Bookmark the permalink.